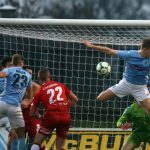 Oisin Smyth’s deflected strike just after the break proved to be the match winner as the Bannsiders failed to overtake Glenavon in 4th spot in the Danske Bank Premiership. 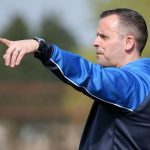 Speaking to colerainefc.com, McAree believes his players were beaten by the better side at a rain-drenched Ballycastle Road. “I thought we were beaten by the better side on the day,” he said. “I did not think we performed as well as we can do and I do not think we worked as hard as what we can do. “I think that is maybe being a little bit disrespectful to Dungannon Swifts because I think they did really well and caused us problems. “There is quite a bit that we can go away and think about. We will obviously go away and watch the game back. 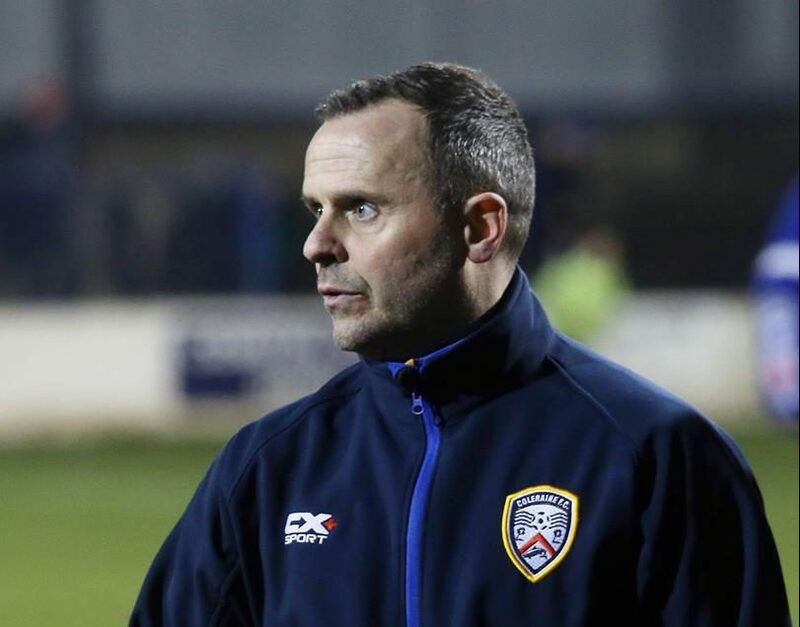 “I felt late on we did not create enough opportunities or put Dungannon under any real pressure. The Stripes are ruing defensive injuries to Lyndon Kane, Aaron Traynor, Stephen O’Donnell and Aaron Canning, but McAree isn’t using that as an excuse for the defeat. “I thought Daniel Hughes and Paul McElroy were outstanding and the two of them caused us problems all day,” he added. “We know it is always going to be an issue when you play against boys like that because I know them personally and know their strengths. “When they get on top of you they take a little bit of confidence out of that – McElroy especially when things are going well for him he tends to build on it. “We ball watched a little bit, we let runners off our shoulders and did not track runners at times which made it tough for us. “We miss Aaron Canning and that is not an excuse, that is not the reason why we lost here today, but he is a big loss given the season he has had so far. “Stephen O’Donnell is another loss, you look at the back four here today and it could be very different and it probably will be at some stage. McAree hopes to add at least one more player to his ranks as the January transfer window closes this week. 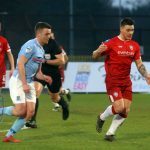 “I have heard different stories towards the end of the week and that Michael McCrudden was maybe changing his mind on the move to Derry City,” he concluded. “It is hard for me to find that out unless I am talking to Michael McCrudden and at the minute I can not get the hold of him. “There are a few that we are talking to and I would like to think that there will be at least one more coming in.